12/27/17 – Today Chief Randazzo of the Macomb County Animal Control Shelter will be giving a tour for the young man who collected bottles, cans, food, and supplies for 4 Paws 1 Heart and the animals we help. Jacob, his mom, and family will be presenting some food and supplies to the shelter and I will have the joy of meeting all of them. 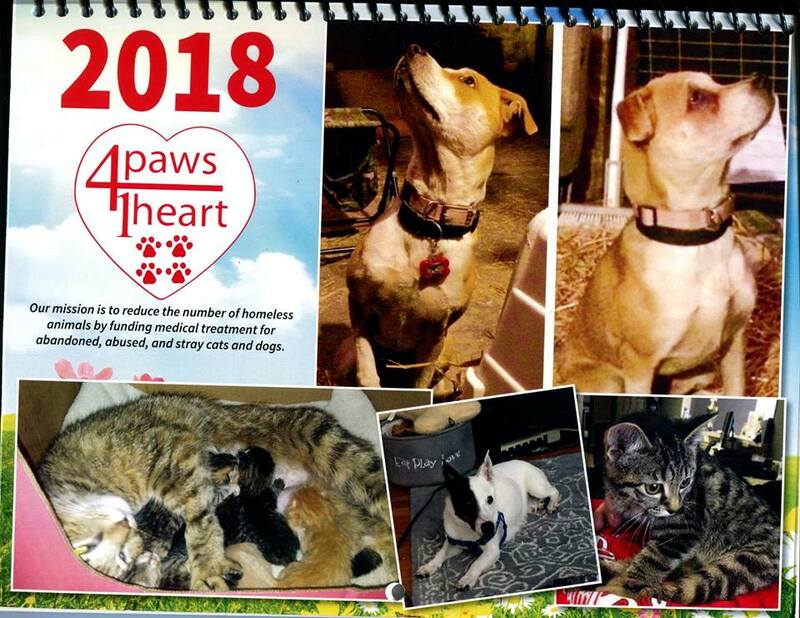 Also, if you are interested in making a difference in the lives of abandoned animals, our calendars are now available. $10 of every calendar sold goes directly to the animals. 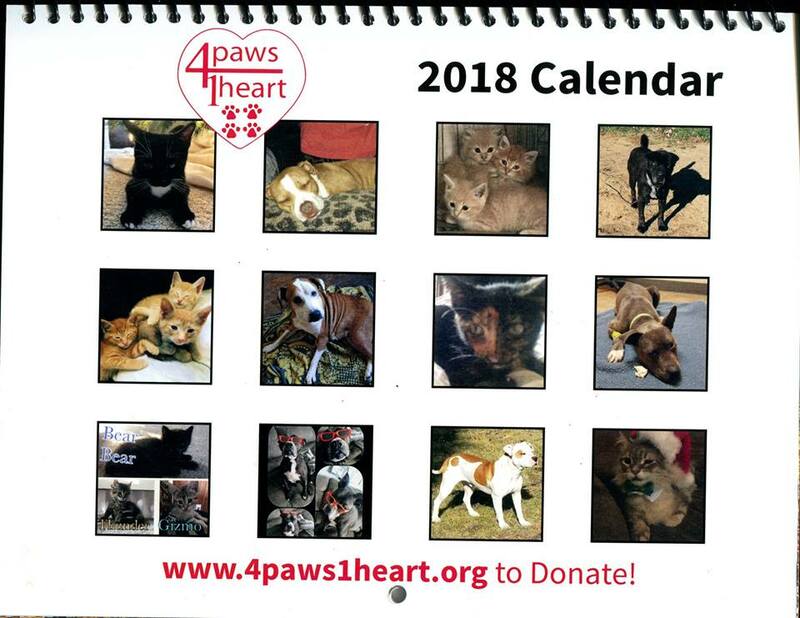 The calendars are $15 each and if you would like me to mail you one, please add $3 for shipping. Payments can be made through paypal on the left of this page or by mail. If you would like more than one or two, we can make arrangements for delivery. It’s a great way to remind yourself of the many animals whose lives have been saved because of a community who cares. This entry was posted in Fundraising by Diana. Bookmark the permalink. Hi dianna just wanted get few calenders with buddylove in it can i call put em on my debit card then have them mailed to me or should i drive their pick them up.